Currently, there are two main options to apply for a visa to Vietnam: getting Vietnam visa at embassy, applying for Vietnam on arrival visa. Although both of them are legitimate, each has its pros and cons that foreigners need to know before traveling to Vietnam. The first option is getting a Vietnam visa at the embassy/consulate which is known to be the traditional one. With this type of visa, people have to travel to the nearest Vietnam Embassy or Consulate to make a visa application. One of the strongest points of obtaining Vietnam visa at the embassy is that visitors can have a visa already stamped on their passport before getting on the plane. Having Vietnam embassy visa, people can enter the country via all means of transport including border gates, seaports, and airports without any hassle. Moreover, they can deal directly and immediately with the Embassy of Vietnam in case there is something wrong with their Vietnam visa. However, this visa-getting method can be inconvenient for those who live far away from the Vietnam Embassy/Consulate, or there is no appropriate authority in their country. In those cases, applicants have to send their crucial documents by mail and face the possibility of losing them unexpectedly; or they must visit the Vietnam Embassy in neighboring countries to apply for a visa to Vietnam. The processing time is one of the obvious drawbacks of this visa type as it takes applicants about five to seven working days. The cost of Vietnam visa with a lot of additional fees is also complicated as it depends on different Vietnam Embassies in different countries. To simplify the procedures of getting a visa to Vietnam as well as to reduce its disadvantages, Vietnam visa on arrival (Vietnam VOA) is launched for foreigners who want to get their Vietnam visa at arrival airports. Visa on arrival in Vietnam is considered to be the most convenient way to obtain a Vietnam visa for foreign travelers coming to Vietnam by airplane. To get a visa stamp at the arrival airports, people must submit a Vietnam visa application through a travel agency to get a Vietnam pre approval letter first. Having over ten years of experience, Greenvisa is one of the most trustable companies that can assist applicants in obtaining Vietnam approval letter and getting their Vietnam visa stamped with more ease than the traditional method. The procedures of acquiring visa Vietnam on arrival is quite easy with a few steps. First, people are required to fulfill an online application form for Vietnam VOA and receive a Vietnam letter of approval via their email after making a payment for Greenvisa’s service. This letter is one of the required documents that applicants must present to the officer of the Vietnam Immigration Department to get their Vietnam visa stamped when they arrive at the arrival airports. Before applying for Vietnam visa on arrival, foreign visitors should take note that this type of visa is not applicable for all means of transport except airway. Also, travelers will have to get in line and wait about 15 minutes or more in front of the Immigration counter at Vietnam international airports to have visa stamped onto their passport. However, this method is still convenient for those who do not have enough time to apply for a Vietnam visa at the embassy as all the steps can be completed entirely via the Internet. Also, there is no need for them to send their original passport and relevant documents away. 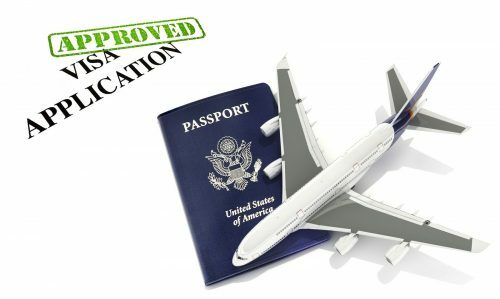 Moreover, when there are unwanted problems happen in applicant’s visa-getting process, the travel agency they hired will deal with the appropriate authority to solve the problems on their behalf.